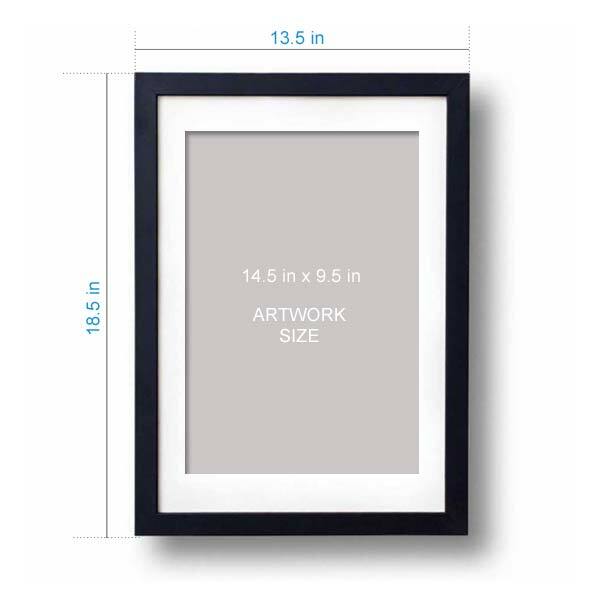 Surprise your partner with this beautiful personalised caricature wall art frame. 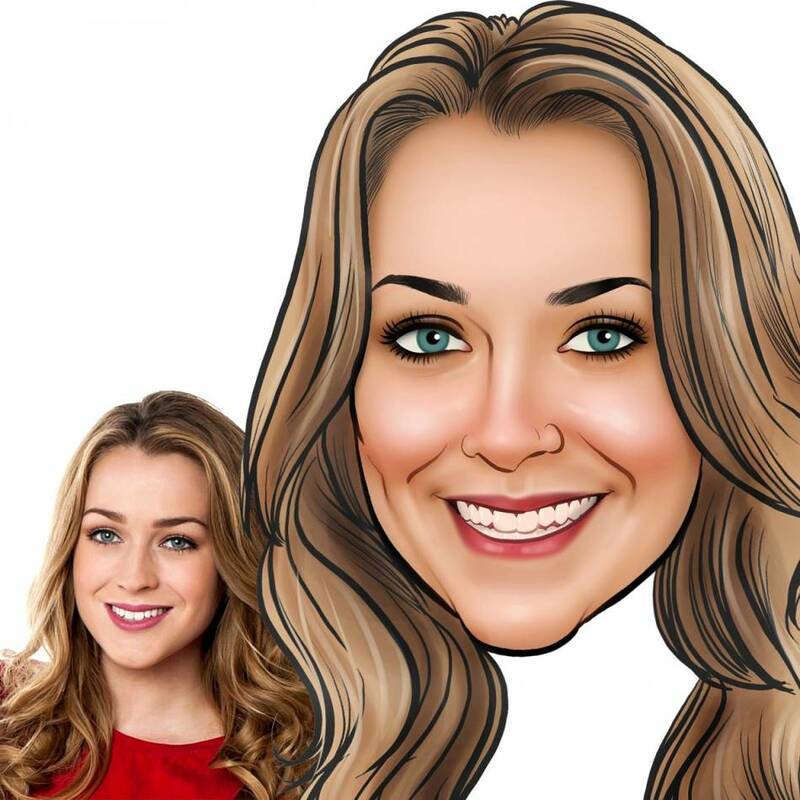 Our artist will hand draw caricatures by looking at your photos, you get to see it before the final approval. A creative gift for husband, wife, and lovers. 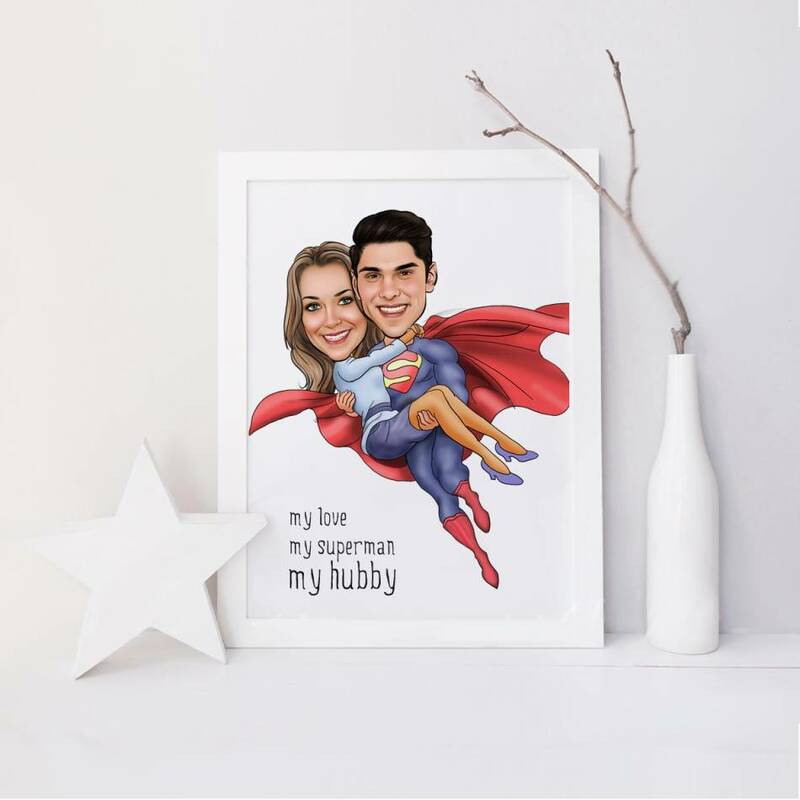 In this design you can see the husband or boyfriend, being like a superman, is holding his wife or girlfriend, and flying. This is an iconic pose, and everyone should get a personalised faces wall art like this.